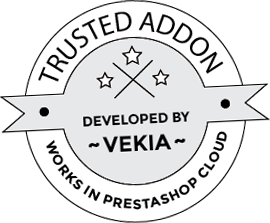 This is module that integrates your shop with Kelkoo. 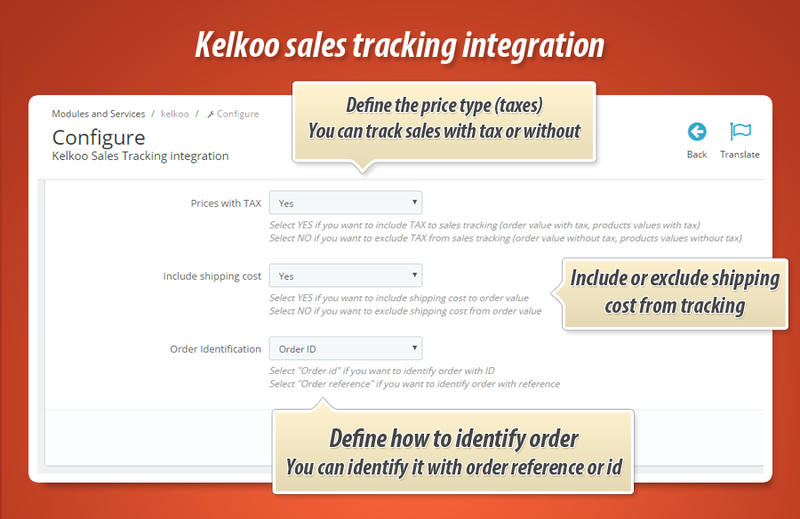 Module allows to track sales (Kelkoo sales tracking so called KST). Module automatically adds tracking so you dont have to change any kind of code. Just install the module, configure it and thats all - your shop is ready to track sales. 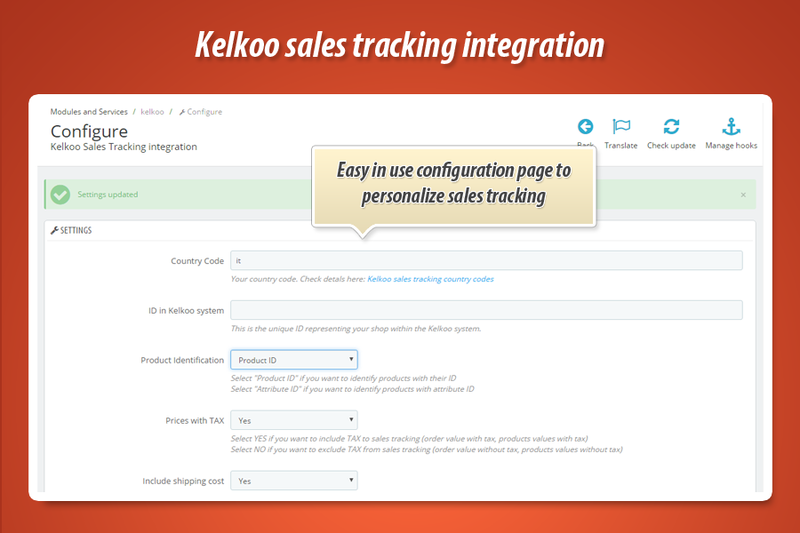 Kelkoo Sales Tracking is a tracking system to review your performance in a better and more detailed way. With Kelkoo system You’ll be able to get all of your sales data in one place, You’ll have the opportunity to evaluate performance at a category or campaign level and have precious insights. Data in kelkoo are updated daily, but in the nearest future they plan to update hourly, giving almost real-time updates. With this prestashop module you can track your sales. You can personalize the tracking system. Module allows to specify some improtant settings so you will be able to build tracking that will meet your requirements. Below you can find additional informations about current module features. 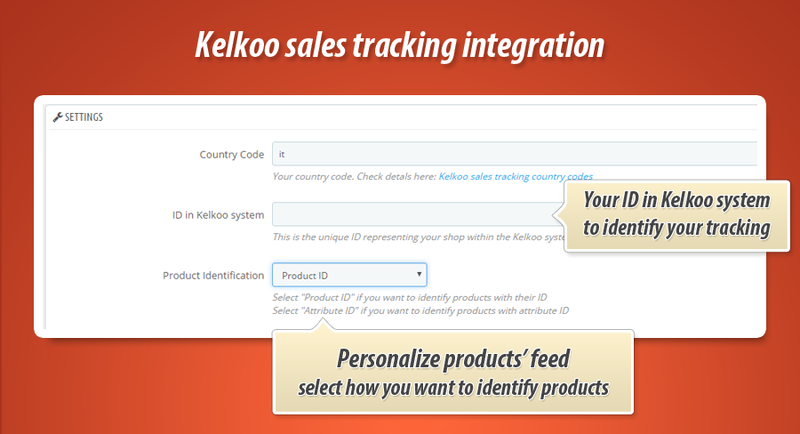 is the 2-letter country code for the country on which your products are listed on Kelkoo. You can define own country code to make it work for your shop and your campaign properly. With this option you can decide what type of price module will send to kelko. You can select option to track prices with tax (tax included) or without tax (tax excluded). Option is related both to products and to order total value. You can select how you want to identify the orders. You can identify order with ID or with order reference.